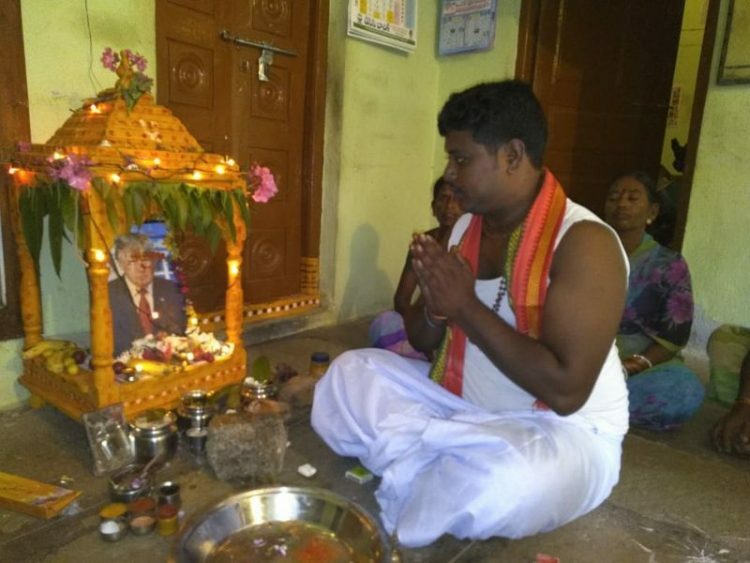 It’s not clear exactly when the Indian farmer started worshipping Donald Trump. 9News claims that he’s been doing it for three years, ever since he announced his candidacy for the presidency of the United States, while the Hindustan Times reports that he came up with the idea in February of last year, following the killing of a software engineer from Telangana by a US Navy veteran, in an alleged act of hate crime. 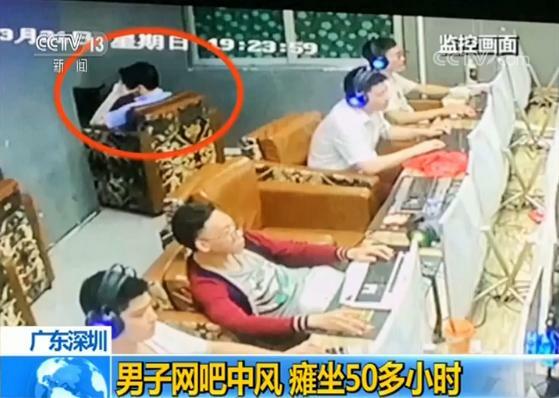 It’s no wonder that most people in Bussa Krishna village think he is crazy. 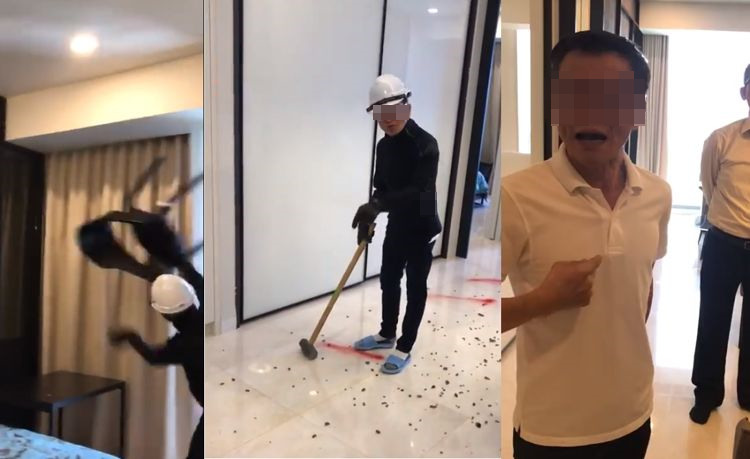 His own parents have reportedly gotten so sick of seeing him worshipping a photo of Donald Trump that they left his house and moved in with some relatives. 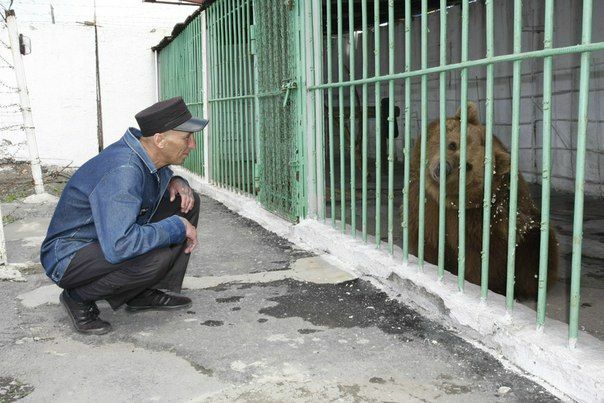 Locals have advised him to see psychologist about his obsession, but he doesn’t seem fazed at all. 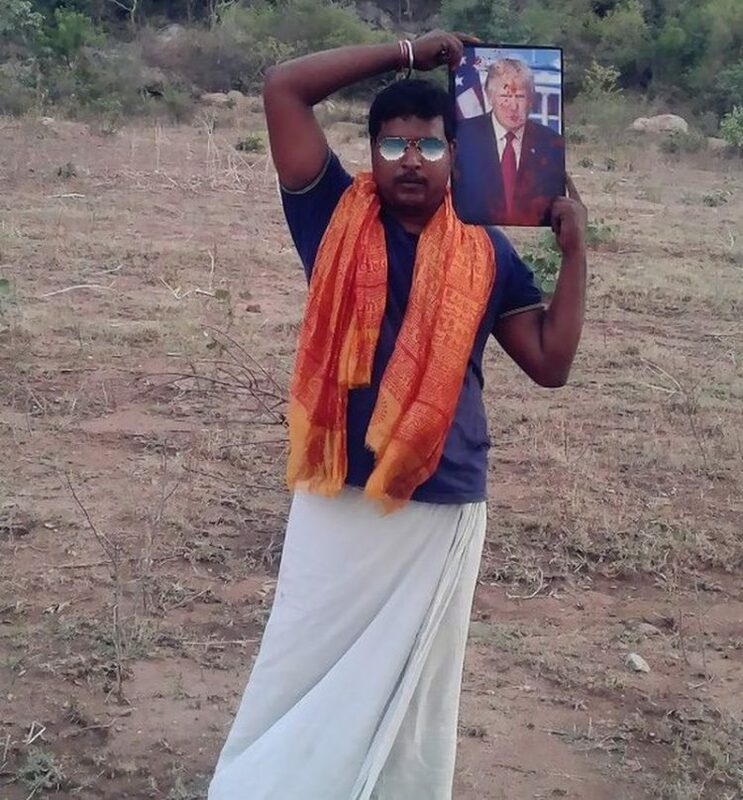 One of the man’s neighbors told reporters that he carries Trump’s photo with him wherever he goes, and despite criticism from the locals, he sometimes yells “Trump is my God, he is in my heart. I like him very much, so I keep worshipping him”. “I only know that he is the most strong and invincible leader in the world. What I liked about him was his bold attitude. Since he took part in World Wrestling Federation (WWF) competitions, he must be very powerful,” Krishna said. Despite being unable to verify if the message actually came from Trump, Krishna is convinced that it did, and is sure that if the US President ever comes to India, he will surely remember him. Believe it or not, Donald Trump is pretty popular in India. 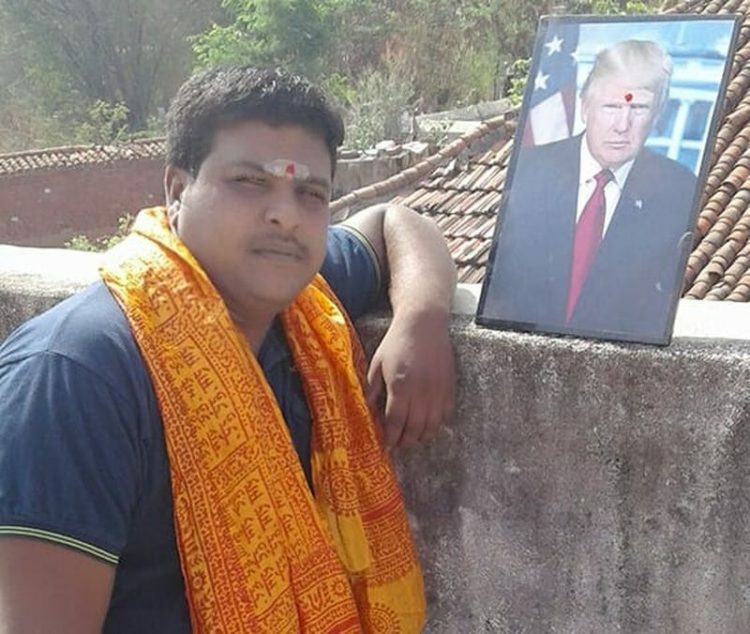 A couple of years ago, we wrote about the Hindu Sena group, an Indian right-wing group that idolizes the American President.